Dr. Elaine Oran has joined the Department of Aerospace Engineering as a Glenn L. Martin Institute Professor of Engineering. Prior to joining the University of Maryland, Oran was the Senior Scientist for Reactive Flow Physics at the U.S. Naval Research Laboratory where she was responsible for carrying out theoretical and computational research on the fluid and molecular properties of complex dynamic systems and where she will continue serving as an Emeritus Scientist. She is an Adjunct Professor at the University of Michigan and a Visiting Professor at Leeds University. Oran's research includes work on chemically reactive flows, turbulence, numerical analysis, high-performance computing and parallel architectures, shocks and shock interactions, rarefied gases, and microfluidics, with applications to combustion, propulsion, astrophysical explosions, and micro-sensor design. She received her A.B. in Chemistry and Physics from Bryn Mawr College and both her M.Ph. in Physics and Ph.D. in Engineering and Applied Science from Yale University. She has the distinction of being both an American Institute of Aeronautics and Astronautics (AIAA) Fellow and an AIAA Honorary Fellow. The title of Honorary Fellow is “the highest distinction conferred by AIAA, and is granted to preeminent individuals who have had long and highly contributory careers in aerospace, and embody the highest possible standards in aeronautics and astronautics." This distinguished group includes pioneers and intellectual leaders in the field such as Orville Wright, the first Honorary Fellow, and Sir Arthur C. Clarke. In addition, Oran is as a member of the National Academy of Engineering, the highest honor to which any aerospace engineer can aspire. She is a fellow of the American Society of Mechanical Engineers (ASME), the Society of Industrial and Applied Mathematics (SIAM), and the American Physical Society (APS). 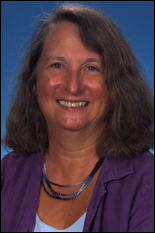 In 2002, Oran received the AIAA Dryden Lectureship in Research, which recognizes extraordinary contributions to basic and applied research in aeronautics and astronautics, and she has continued to be recognized for her excellence in scholarship and research accomplishments. 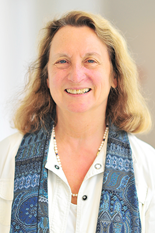 She has been awarded the Zel'dovich Gold Medal from the Combustion Institute, Society of Women Engineers Achievement Award (2006), two Presidential Rank Awards (2004, 2007), AIAA Propellants and Combustion Award (2008), and the Oppenheim Prize (1999). 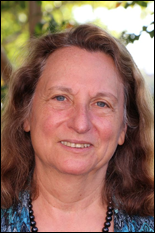 This year, she will receive the Fluid Dynamics Prize of the APS and give the Otto Laporte Lecture. Oran has published hundreds of refereed technical articles for both journals and conferences, numerous book chapters, and has delivered over 250 invited presentations. Her book, Numerical Simulation of Reactive Flow, written with Dr. Jay Boris, is now considered to be a classic in the field. For more information on Oran, please visit her faculty webpage.